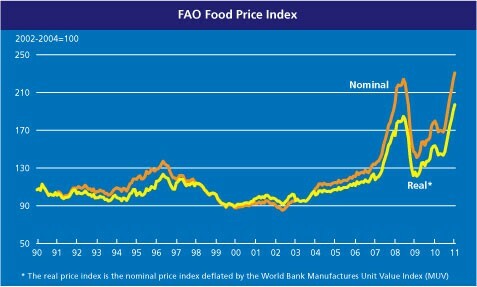 Why are food prices rising around the world? 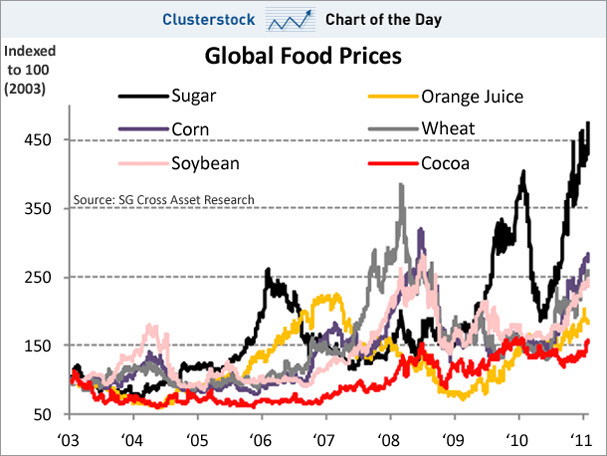 Food prices have been rising around the world. 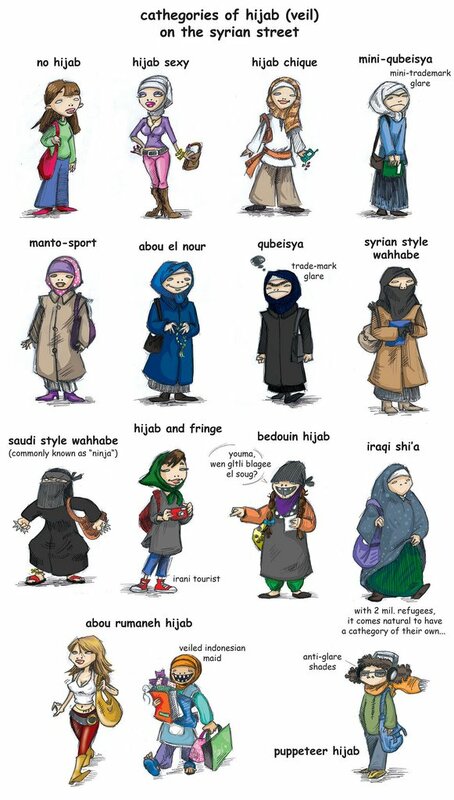 What is behind this trend? Food has now become a commodity for price manipulation and criminal speculation. These articles help to explain the fraud, market manipulation, and forces behind this destabilizing phenomena. 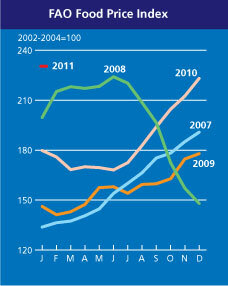 The cause of the recent jump in global food prices remains a matter of debate. Some analysts blame the Federal Reserve’s “quantitative easing” program (increasing the money supply with credit created with accounting entries), which they warn is sparking hyperinflation. 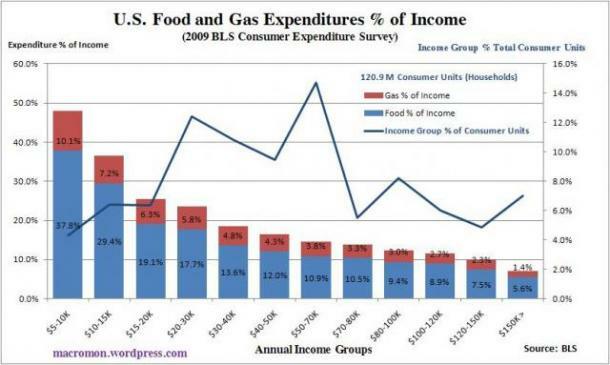 Too much money chasing too few goods is the classic explanation for rising prices. The problem with that theory is that the global money supply has actually shrunk since 2006, when food prices began their dramatic rise. Virtually all money today is created on the books of banks as “credit” or “debt,” and overall lending has shrunk. This has occurred in an accelerating process of deleveraging (paying down or writing off loans and not making new ones), as the subprime housing market has collapsed and bank capital requirements have been raised. Although it seems counterintuitive, the more debt there is, the more money there is in the system. As debt shrinks, the money supply shrinks in tandem. That is why government debt today is not actually the bugaboo it is being made out to be by the deficit terrorists. The flipside of debt is credit, and businesses run on it. When credit collapses, trade collapses. When private debt shrinks, public debt must therefore step in to replace it. The “good” credit or debt is the kind used for building infrastructure and other productive capacity, increasing the Gross Domestic Product and wages; and this is the kind governments are in a position to employ. The parasitic forms of credit or debt are the gamblers’ money-making-money schemes, which add nothing to GDP. Prices have been driven up by too much money chasing too few goods, but the money is chasing only certain selected goods. Food and fuel prices are up, but housing prices are down. The net result is that overall price inflation remains low. Meanwhile, interest rates on federal securities were also driven to very low levels, leaving investors without that safe, stable option for funding their retirements. “Hot money” – investment seeking higher returns – fled from the collapsed housing market into anything but the dollar, which generally meant fleeing into commodities. At one time food was considered a poor speculative investment, because it was too perishable to be stored until market conditions were right for resale. But that changed with the development of ETFs (exchange-traded funds) and other financial innovations. The history of food took an ominous turn in 1991, at a time when no one was paying much attention. That was the year Goldman Sachs decided our daily bread might make an excellent investment. . . .
Robber barons, gold bugs, and financiers of every stripe had long dreamed of controlling all of something everybody needed or desired, then holding back the supply as demand drove up prices. Goldman . . . came up with this idea of the commodity index fund, which really was a way for them to accumulate huge piles of cash for themselves. . . . Instead of a buy-and-sell order, like everybody does in these markets, they just started buying. It’s called “going long.” They started going long on wheat futures. . . . And every time one of these contracts came due, they would do something called “rolling it over” into the next contract. . . . And they kept on buying and buying and buying and buying and accumulating this historically unprecedented pile of long-only wheat futures. And this accumulation created a very odd phenomenon in the market. It’s called a “demand shock.” Usually prices go up because supply is low . . . . In this case, Goldman and the other banks had introduced this completely unnatural and artificial demand to buy wheat, and that then set the price up. . . . [H]ard red wheat generally trades between $3 and $6 per sixty-pound bushel. It went up to $12, then $15, then $18. Then it broke $20. And on February 25th, 2008, hard red spring futures settled at $25 per bushel. . . . [T]he irony here is that in 2008, it was the greatest wheat-producing year in world history.
. . . [T]he other outrage . . . is that at the time that Goldman and these other banks are completely messing up the structure of this market, they’ve protected themselves outside the market, through this really almost diabolical idea called “replication” . . . . Let’s say, . . . you want me to invest for you in the wheat market. You give me a hundred bucks . . . . [W]hat I should be doing is putting a hundred bucks in the wheat markets. But I don’t have to do that. All I have to do is put $5 in. . . . And with that $5, I can hold your hundred-dollar position. Well, now I’ve got ninety-five of your dollars. . . . [W]hat Goldman did with hundreds of billions of dollars, and what all these banks did with hundreds of billions of dollars, is they put them in the most conservative investments conceivable. They put it in T-bills. . . . [N]ow that you have hundreds of billions of dollars in T-bills, you can leverage that into trillions of dollars. . . . And then they take that trillion dollars, they give it to their day traders, and they say, “Go at it, guys. Do whatever is most lucrative today.” And so, as billions of people starve, they use that money to make billions of dollars for themselves. Some economists said the hikes were caused by increased demand by Chinese and Indian middle class population booms and the growing use of corn for ethanol. But according to Professor Jayati Ghosh of the Centre for Economic Studies in New Delhi, demand from those countries actually fell by 3 percent over the period; and the International Grain Council stated that global production of wheat had increased during the price spike. An August 2009 paper by Jayati Ghosh, professor at the Centre for Economic Studies and Planning at Jawaharlal Nehru University in New Dehli, compared food staples traded on futures markets with staples that were not. She found that the price of food staples not traded on futures markets, such as millet, cassava and potatoes, rose only a fraction as much as staples subject to speculation, such as wheat. [W]ithout strong regulation of electronic exchanges and the derivatives products that enable speculators to move huge proportions of the futures markets underlying commodities, putting a bit of regulation into the London-based exchanges will not alleviate anything. Unless that’s addressed, this bubble is going to take more than homes with it. It’s going to take lives. According to Kaufman, the food bubble has now increased the ranks of the world’s hungry by 250 million. On July 21, 2010, President Obama signed a Wall Street reform bill that would close many of the regulatory loopholes allowing big financial institutions to play in agriculture commodity futures markets, but Kaufman says the bill’s solutions are not likely to work. Wall Street innovators can devise new ways to speculate that easily dance around cumbersome, slow-to-pass legislation. Attempts to ban all food speculation are also unlikely to work, he says, since firms can pick up the phone and do their trades through London, or arrange over-the-counter (private) swaps. As an alternative, Kaufman suggests a worldwide or national grain reserve, so that regulators can bring wheat into the market when needed to stabilize prices. He notes that we actually kept a large grain reserve in the Clinton era, before the mania for deregulation. President Franklin Roosevelt pledged to maintain a large grain reserve in his second Agricultural Adjustment Act in 1938. The only long term solution is to completely re-architect markets. Firstly, cutting out middlemen — which is a process already under way. Secondly, a new settlement between producer and consumer nations — a Bretton Woods II. Speculative markets today are driven more by fear, says Cook, than by greed. Investors are looking for something safe that will give them an adequate return, which means something they can live on in retirement. They need these investments because their employers and the government do not provide an adequate safety net. Meanwhile, pensions are being slashed and social security is under attack. Arguably, along with the grain reserves institutionalized under Franklin Roosevelt, we need an Economic Bill of Rights of the sort he envisioned, one that would guarantee citizens at least a bare minimum standard of living. This could be done through job guarantees when people were able to work and social security when they were not. The program could be funded with government-created credit or government-bank-created credit, and this could be done without causing hyperinflation. To support that contention would take more space than is left here, but the subject has been tackled in my book Web of Debt. In the meantime, the credit needed to get local economies up and running again can be furnished through publicly-owned banks. For more on that possibility, see http://PublicBankingInstitute.org. Nominal GDP per capita in USD at market exchange rates. The share of food in total household consumption. Net food exports as a percentage of GDP. We’ve got the top 25 countries in danger here and the list, including a major financial center, may surprise you. Luis Ignacio Silva, at the Havana Debt Conference in August 1985, quoted by Susan George, A Fate Worse Than Death p 238.